“I, Mellor” – Coach Mellor is cracking down on cheating, which leads him to take on the failing mathletes for the upcoming Math Olympiad. 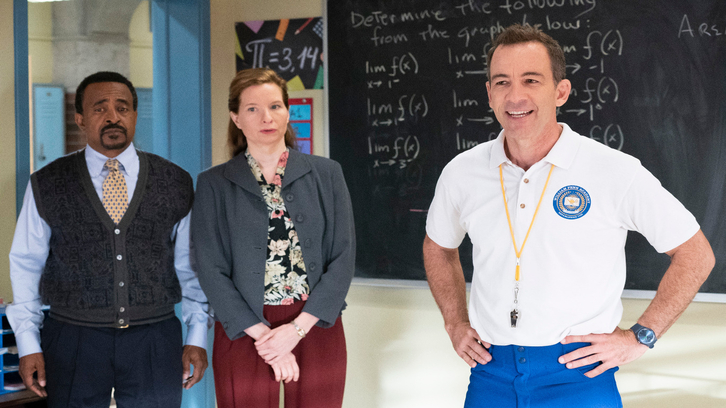 Meanwhile, Lainey helps CB deal with a challenging student on an all-new episode of “Schooled,” airing WEDNESDAY, JAN. 30 (8:30–9:00 p.m. EST), on The ABC Television Network, streaming and on demand. Guest starring is Lennon Parham as Liz Fleming, Thomas Barbusca as Alex Piper, Israel Johnson as Ed Morris, Dallas Edwards as Aaron Rubin, Sofia Landsman as Suzanne, Raja Deka as Math Proctor, Tara Brennan as Mathlete #1, Nathan Janak as Mathlete #2, Elie Samouhi as Mathlete #3 and Mauricio Lara as Mathlete #4. “I, Mellor” was written by Andrew Secunda and directed by David Katzenberg.